Join our global team and make a difference. SI-UK was founded in Japan in 2006 and quickly grew into a global leader in the recruitment of international students to UK universities. 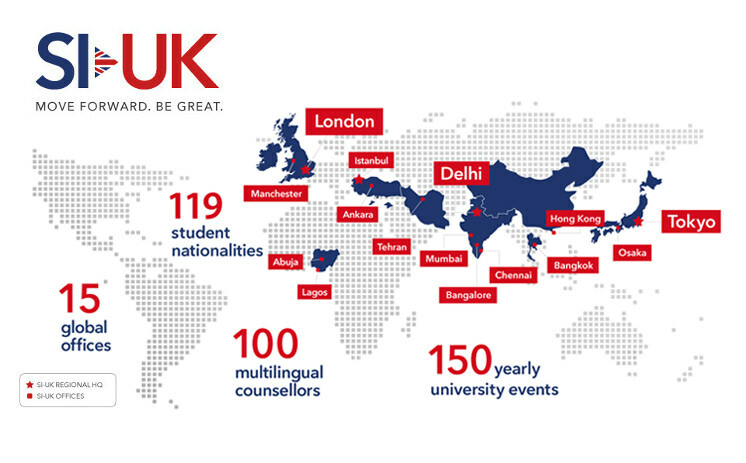 We assisted over 3,000 students from 118 different countries join a UK university last year, and you can now make the difference in London and Manchester. SI-UK is an equal opportunity employer and will ensure that no applicant or employee receives less favourable treatment because of gender, age, disability, religion or race. This is your opportunity to be part of a strong, diverse team working in one of the biggest Study Abroad networks in the world. Please click on a city name to view open positions.